The new 2017 FootGolf season is upon us and the National Tour dates are finalised for what promises to be the richest and most exciting championship in the short history of the sport in Ireland. Players can now register here. Deerpark FootGolf kick off proceedings on Saturday, 25th March with the North Dublin Open in Howth, followed by the Kilkenny Open at Pococke Golf Club on the 23rd of April. The South Dublin Open at Footee, Tallaght takes the Tour into May (Sunday, 7th) before the main event – The Irish Open – takes centre stage at Highfield Golf & Country Club from the 12-14th of May and welcomes the European FootGolf Tour to Ireland for the third successive season. The National Tour then visits the west coast as Munster FootGolf showcase their course for the first time with the Clare Open on the 4th of June. Returning after a years absence is the Wexford Open at Fairway Football (July 23rd) before the Waterford Open takes up residence at the Pitch & Foot course a week later (July 30th). After a brief respite, the Tour makes its long awaited return to Westport for the Mayo Open at FootGolf Mayo on the 23rd of September. FootGolf Cork is next up as the Tour enters the business end of the season, with the Cork Open on Saturday the 7th of October. On October 28th, the Meath Open is the first split tournament of the campaign, jointly hosted by Gormanston FootGolf (18 holes, 11am) and Footee Navan (18 holes, 3pm) before the Tipperary Open takes to the tricky Cashel Golf Complex on November 4th. 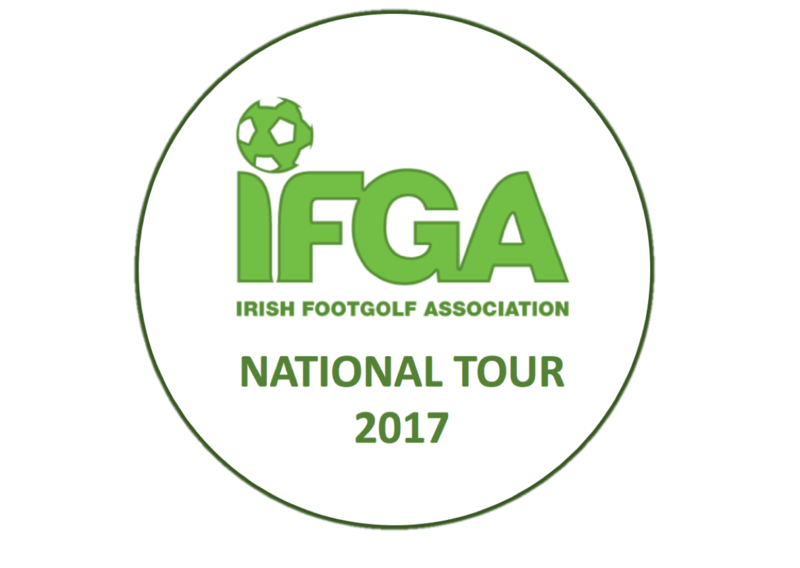 The Inter-Club FootGolf Cup completes the 2017 National Tour campaign at Galway FootGolf, Loughrea, Co. Galway on the 18th of November.